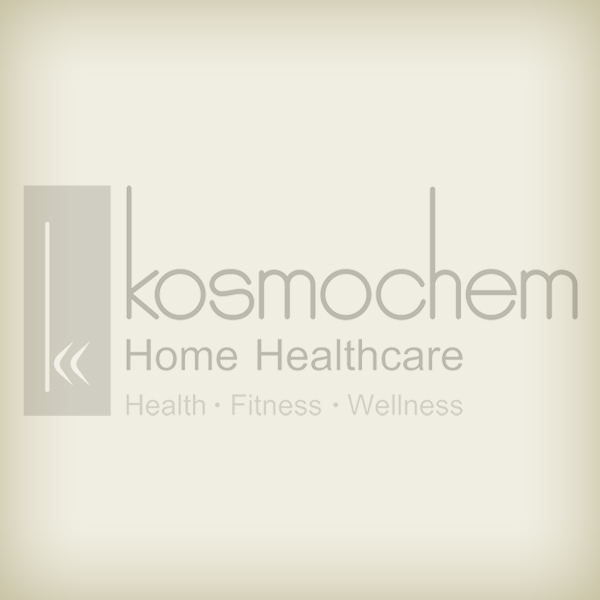 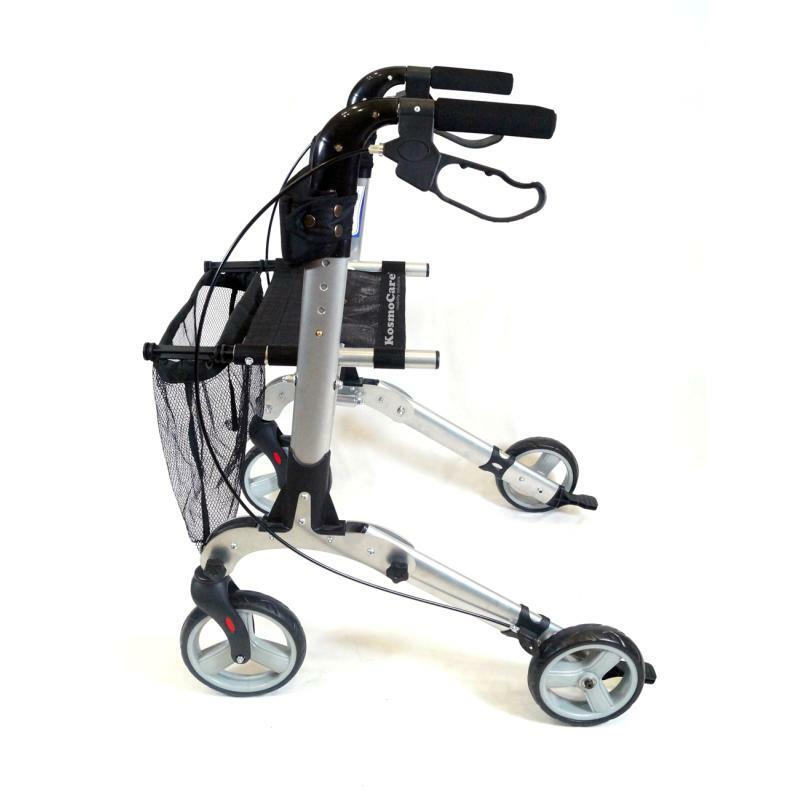 - The Aluminum frame is made of elliptic tubes. 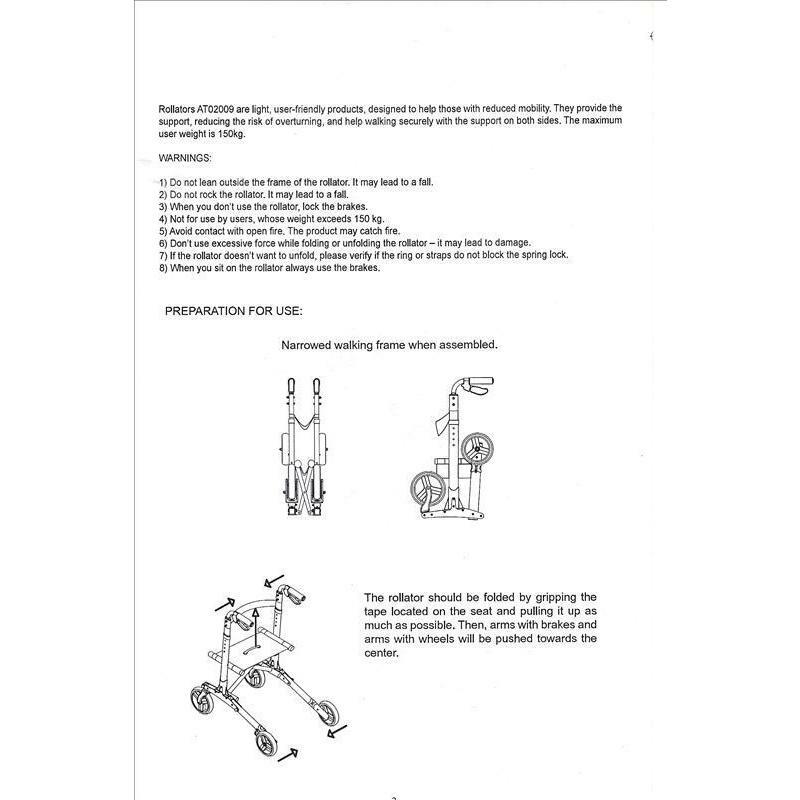 It is sturdy and can carry a maximum load of 150 Kg. 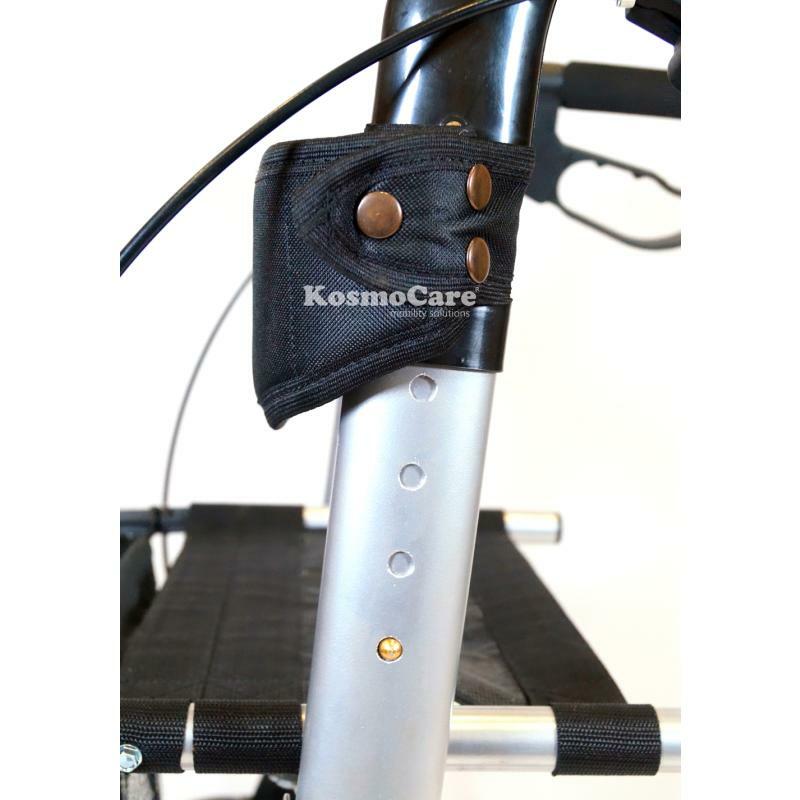 - It has height adjustable handle bars for proper posture and ergonomic hand grips which place your hands at a natural angle for comfort and better brake access. 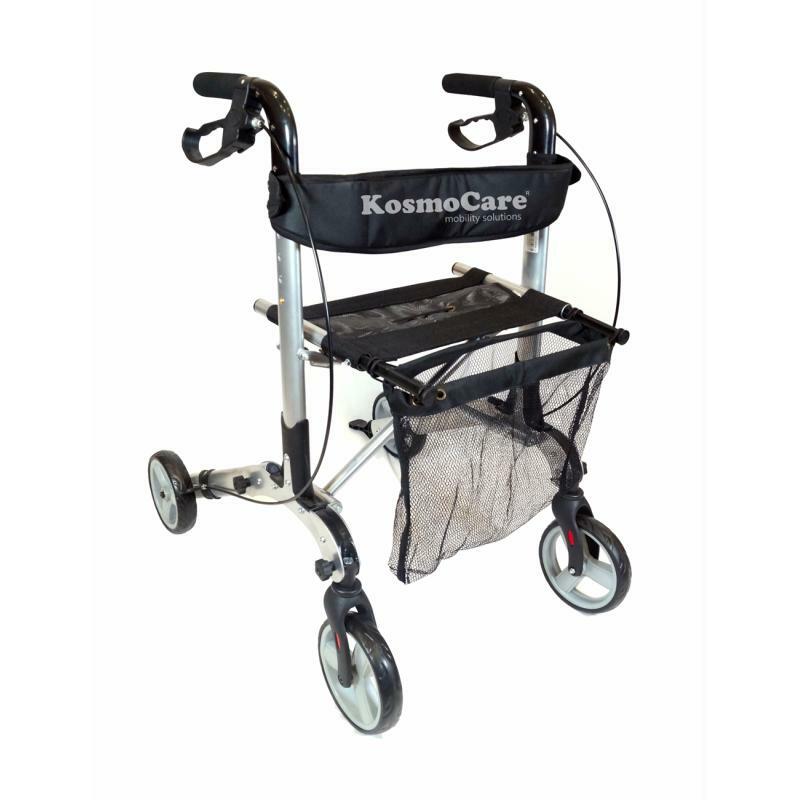 - The Rollator has a built-in soft seat with backrest that provides a perfect place to sit and rest for user. 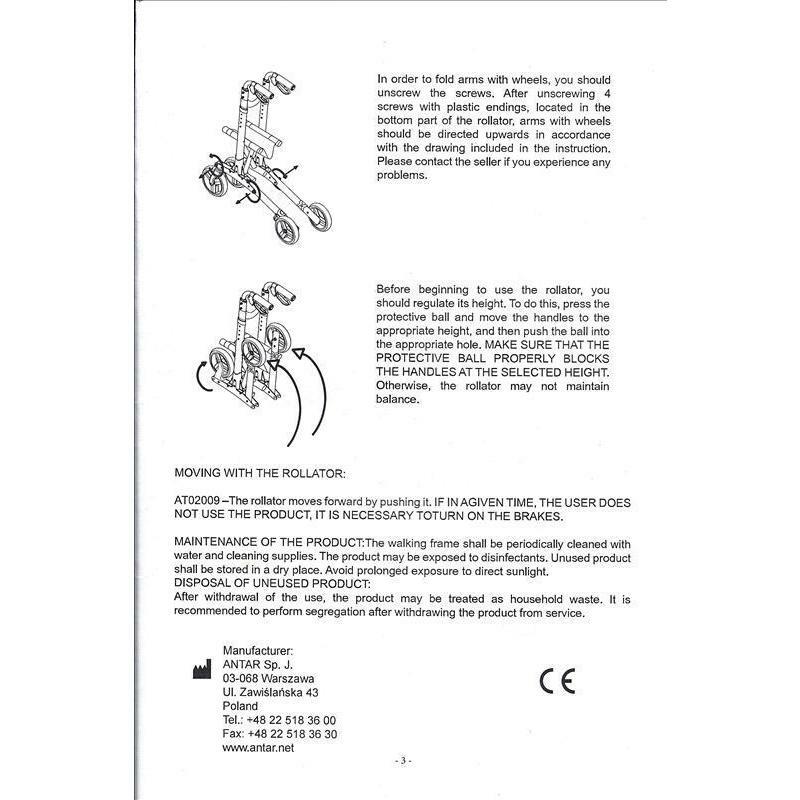 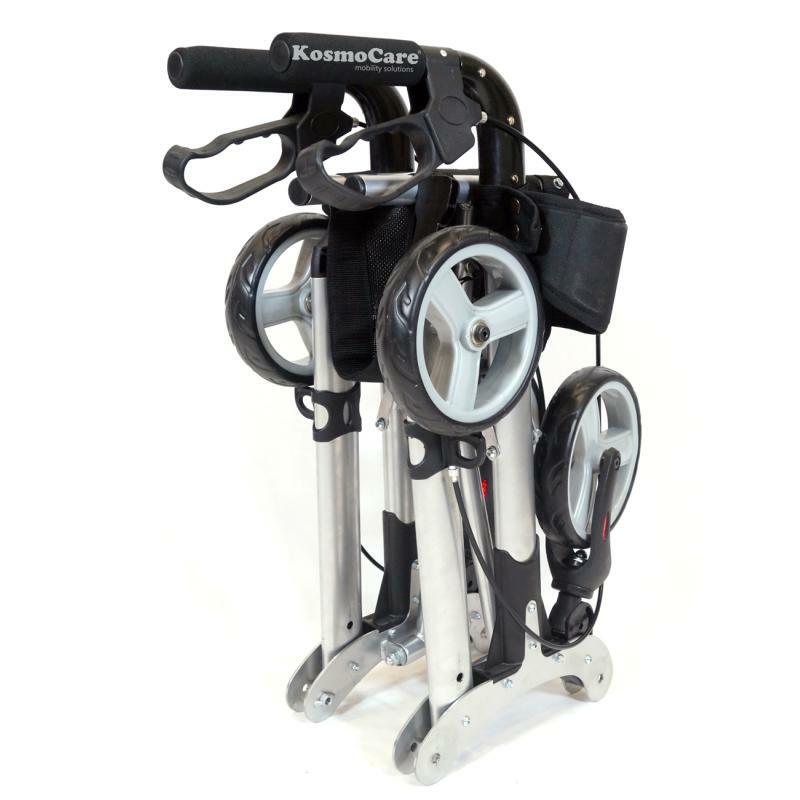 - Tool-free assembly makes this rolling walker quick and easy to set up, simple to fold down and fits into most car trunks. 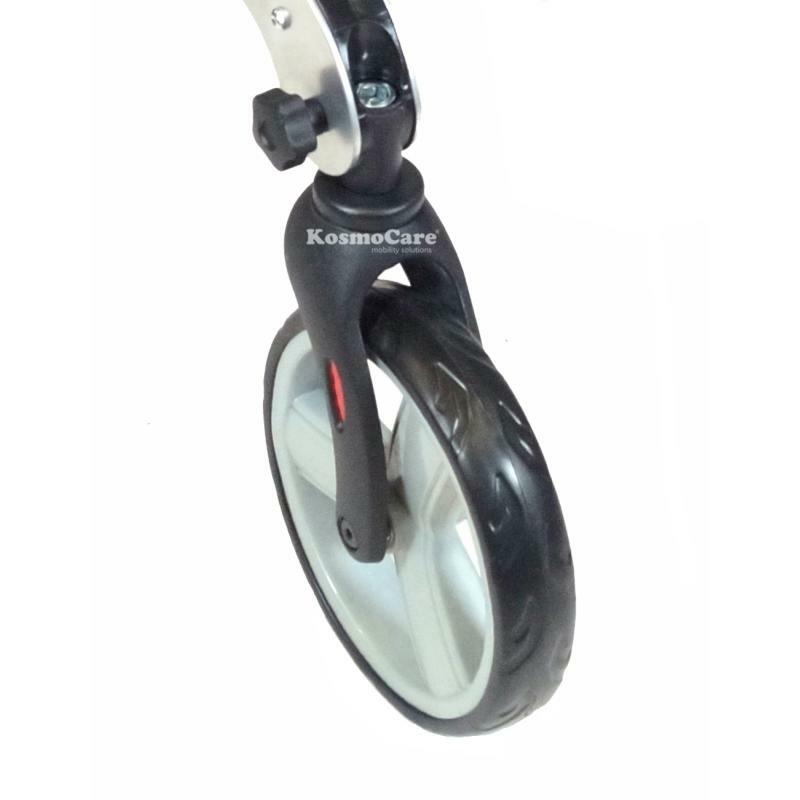 - Extra Large 8" alloy castors give you reliable stability for more confidence and security when walking indoors or outdoors.